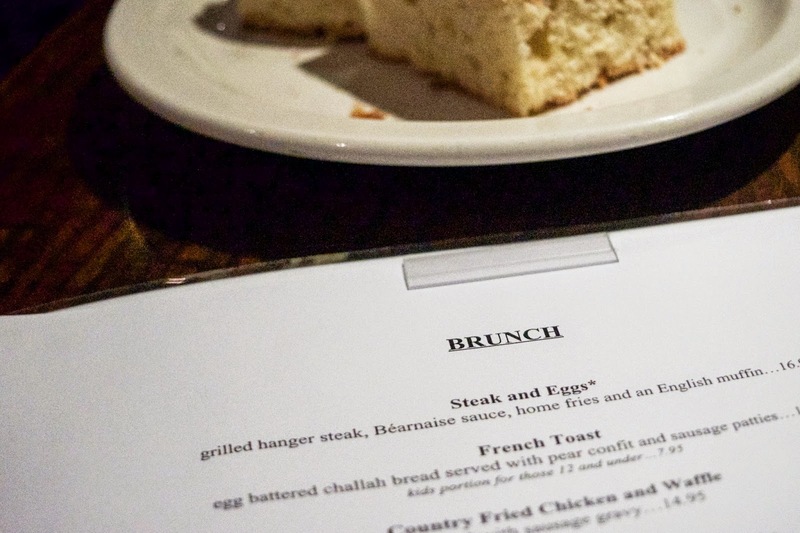 I know not everyone share my enthusiasm for waking up at ungodly hours (yes, I am that chipper, annoying morning person) and brunch, but I luckily was able to convince my roommate to join me for a meal at The Tombs before the school year got a bit too hectic. Oh, and quick announcement: I am the newest hostess at The Tombs! 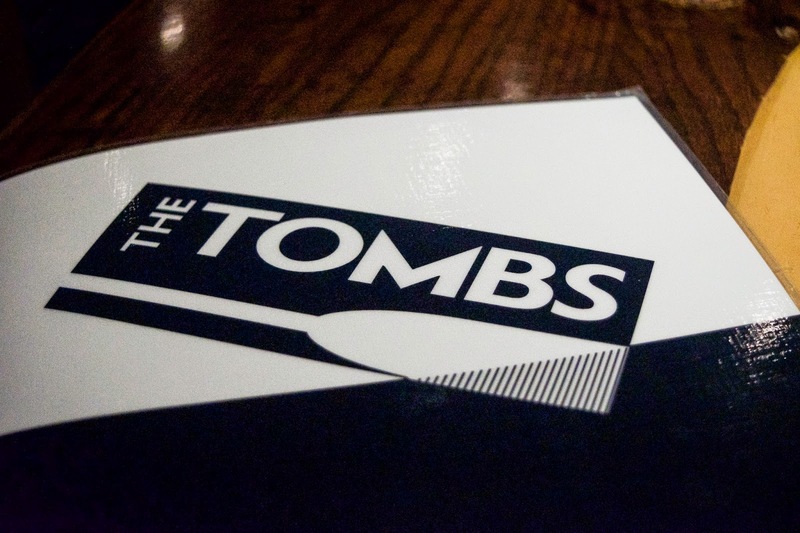 Owned by Clyde's Restaurant Group, The Tombs is the quintessential Georgetown meeting spot for both college students, locals, and visitors alike. 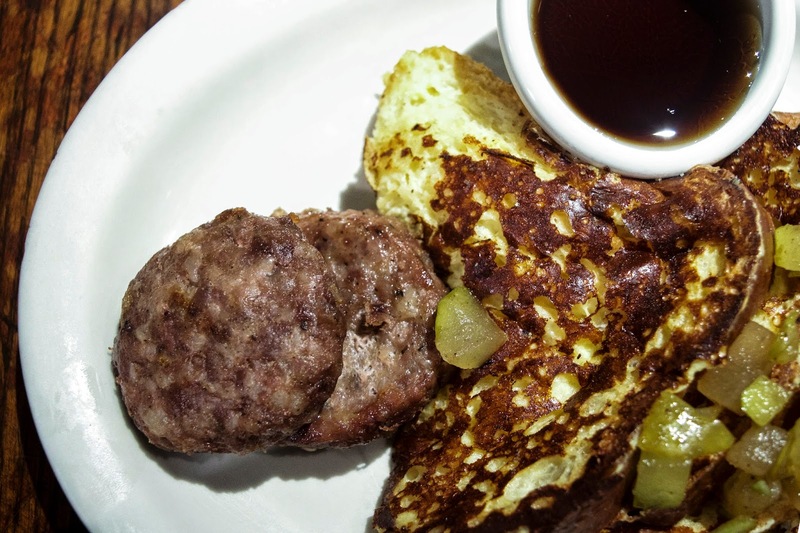 During the day they serve a wide and constantly changing menu with an emphasis on season and locally sourced ingredients and at night, they function as a bar (with a late night menu). Tomb's Night? Yup, that's a Georgetown 21st birthday must and one that I have yet to partake in. 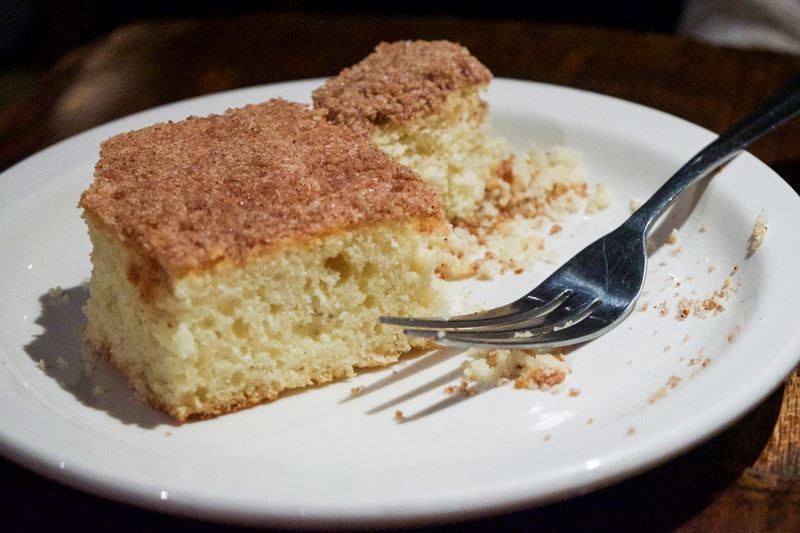 Instead of the tradition bread service, Tombs offers its diners a plate of coffee cake at brunch. 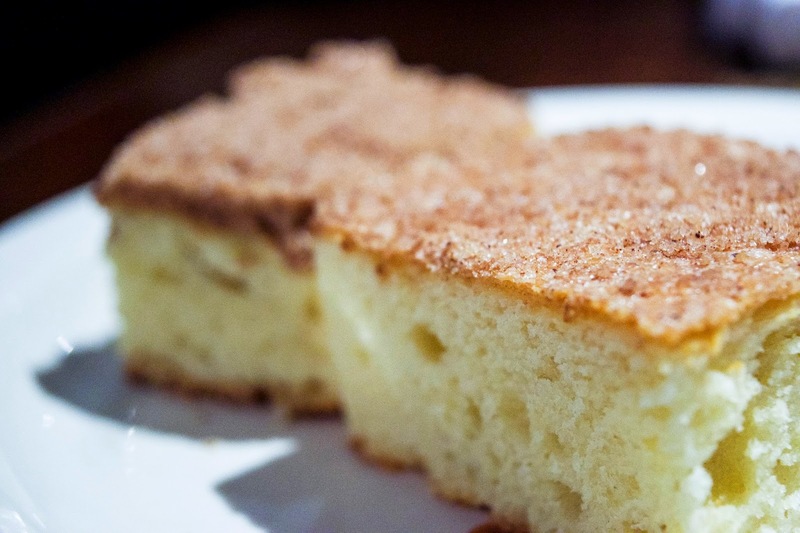 A crumbly yellow base topped with a cinnamon sugar streusel coating, it was a bit dry as all coffee cake is, but nonetheless delicious and a perfect thing to nibble on while waiting for our food. Butter makes eggs taste so much better. And my gosh were my eggs buttery. What I like the best about Tombs is that they don't do any extravagant food, but what they do make is always done very well. Every bite of my eggs were almost custardy with a generous portion of slightly crunchy, sweet spaghetti squash and early swiss chard that made for the most delightful amalgamation of tastes and textures. Tombs managed to make earthy, heavy winter ingredients taste light and flavorful - absolutely fabulous! I am in the school of thought that says brioche or challah make the best french toast and Tomb's rendition just continues to affirm my belief. My roommate's first reaction to this was, "What type of bread is this? 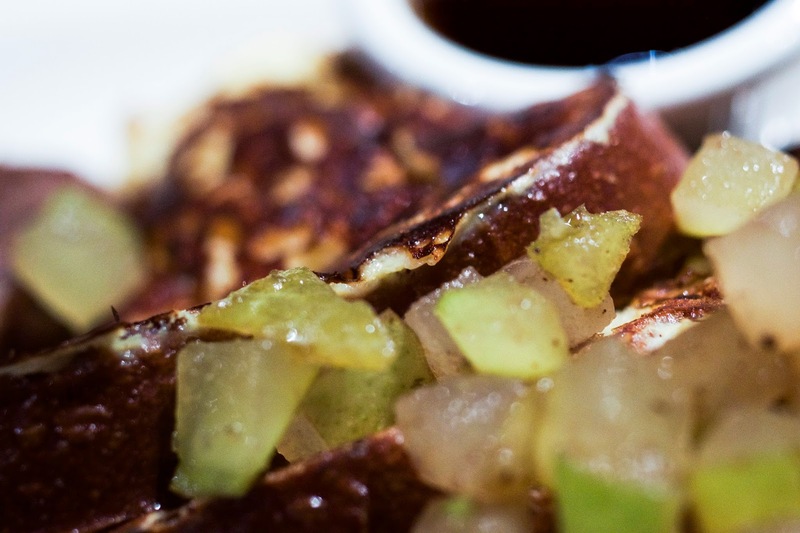 This is the fluffiest french toast I've ever had!" and when I took a bite to taste I had to agree. For some reason, the french toast was both fluffy and dense with a healthy dose of buttery, eggy goodness from the brioche base. 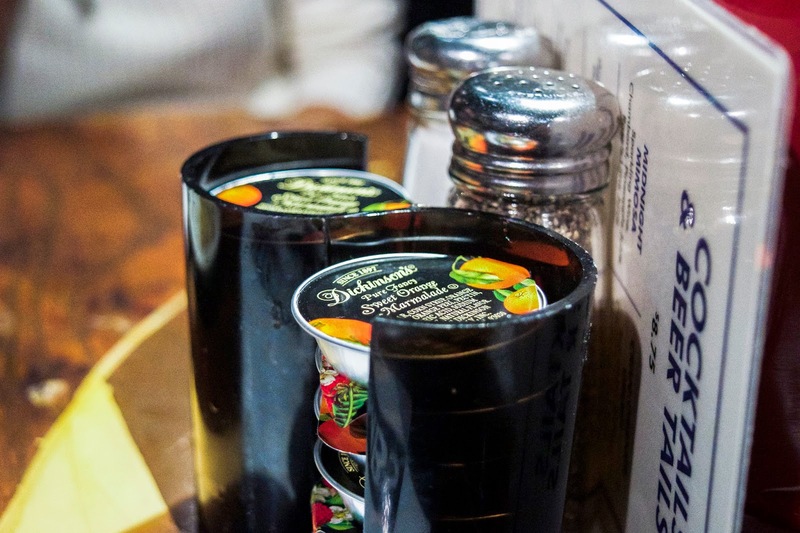 If there is one thing you guys learn from this post it would be that I love butter. 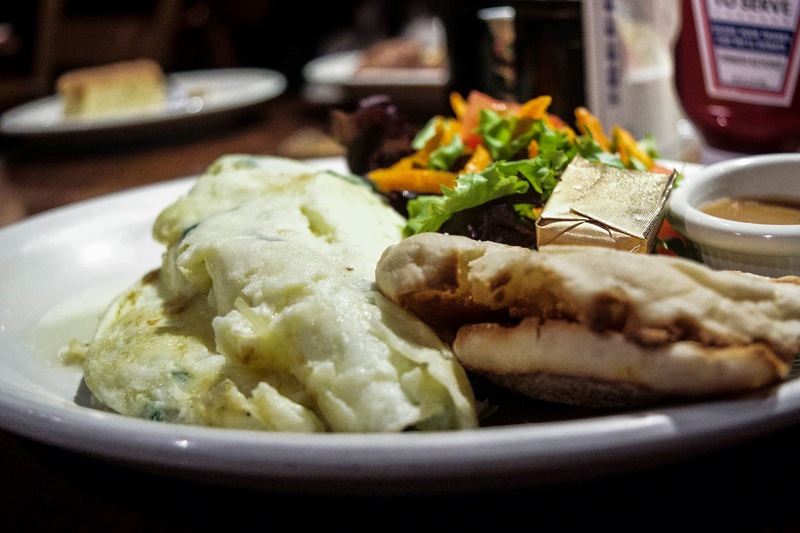 The Tombs is a restaurant that I have visited many times and will continue to go back to. It is relatively affordable (compared to DC) and most importantly I believe in their philosophy of taking simple food, but making the best of it by sourcing the best tasting ingredients, paying attention to seasonality, and treating their food with the upmost care. And no, I'm not just saying this because I work there.